Meredith is currently studying Journalism and English at the University of Wisconsin – Madison, where she focuses on blending new and traditional medias to enhance communication for a future career in digital media. She enjoys everything related to new media, investigative journalism, international communications, cooking, traveling and music festivals. 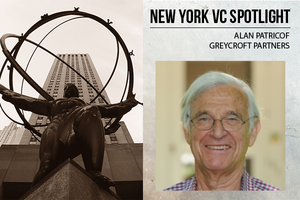 Filed Under: #NYCTech, Advertising, AlleyTalk, An Angel in New York, Angel/Seed Tagged With: Archenemy Record Company, Cheil Worldwide, Social media, TechStars, Tumblr, Twitter, VCU Brandcenter, Yahoo!